This post will share some of the best Mary Kay Ash quotes. In case you don’t know this already, I’m a big fan of Mary Kay Ash. What I admire most about her is her vision and her entrepreneurial skills. She had to overcome so many obstacles to become successful. She is a true business icon, creating opportunities for millions of women throughout the world. Although she is no longer with us today, her legacy continues. I try to read her books and study her success principles whenever I can. In this post, I am sharing 50 of her best quotes. These come from her different books. Mary Kay Ash is the founder of Mary Kay Cosmetics. She has received countless awards and is considered one of the top entrepreneurs of the 20th century. Sadly, she passed away in 2001. Learn more about her company. 1. If you decide to become an entrepreneur you must also be willing to work harder than you would ever work in an ordinary job. Succeeding as an entrepreneur requires tons of hard work, regardless of the business model you choose. In most cases, you will work at least twice as many hours as you did as an employee, especially in the first couple of years of your business. You must be willing to roll up your sleeves and get to work if you want success in your business (any type of business). In addition, during your first one to three years in business you will typically earn a lot less per hour than you did with your job! But, as your business grows, you can eventually have financial freedom. 2. Looking good makes you feel better. When you look good, you feel good about yourself. One of the quickest ways to improve your self image is to dress better. Pay attention to how you look. Buy the nicest clothes you can reasonably afford. If you are a woman, wear makeup to improve your outer and inner image. Right or wrong, most people will judge you by how you look and how you dress. 3. I think it’s healthy to always have something to reach for, and to replace a realized dream with a new one. Everyone needs goals to shoot for. Your goals should stretch you and test you. They should force you out of your comfort zone. Your goals should be written down on paper. Good goals give you purpose and direction. Whenever you reach one of your goals you should immediately set a new goal to pursue. Always have something to strive for! I can’t speak for you, but one of the reasons I’ve become successful is because I have written goals that guide me. 4. I believe that public recognition is the finest form of praise. Most people crave appreciation and recognition. They don’t feel appreciated by their spouse, kids or employer. If you can show appreciation to people on your team (and to your customers) many of them will stick around with you for a long time. And the best way to show appreciation is to do it in front of a group of people. In the Army, I learned the advice “punish in private and praise in public.” Follow that advice and you will be good to go. 5. God first, family second and career third. Everyone needs priorities. If you are religious, this is a good list to follow. If you’re not religious, you should put your family first and career second. There’s no point achieving success if you lose your family in the process. And your kids will only be kids for a small portion of your life. Never forget that. Do things in order of importance! What good is career success if you end up old, alone and miserable? 6. A salesperson should never discuss personal problems with customers. It’s okay if you have problems, but keep them to yourself. Never share your personal problems with your customers or team members. Problems should be addressed to your upline or sponsor. Problems go up, never down. I learned the same concept as an Army Officer. Your customers and team members have their own problems. They don’t need to know about yours. 7. The speed of the leader is the speed of the gang. People will do what you do, not what you say. Make sure that you set a strong personal example for others to follow. 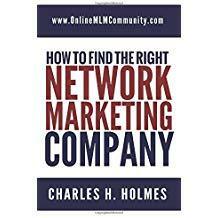 Always be out in the trenches sponsoring new reps and getting new customers. Never get into management mode. Lead by example at all times and practice what you preach. 8. A person competes best when she competes against herself. Help people on your team compete against themselves. Help them set monthly goals and daily goals so they can constantly get better. Don’t have your average performers beat themselves up because other people on your team are doing better than they are. Help people get better each day. Have friendly competitions on your team where you can have more than one winner. 9. I believe you can have anything you want in this world, but yes, you do have to pay the price. Success is never easy. Whether building a Mary Kay business or any other type of business, you have to sell out to the idea. You have to invest your blood, sweat and tears for several years. Most people aren’t willing to do that, but the ones that do make an exceptional income. Everything comes with a price. You must be persistent and committed. 10. I have learned that people who do succeed are set apart by their personalities, objectives and abilities. Success leaves clues. Success is simply the process of doing certain things in a certain way. If you want to succeed with Mary Kay, study what the top earners do! And then go out and do what they did. If you do that, you will get the same results. Although most of the top earners in our industry come from different backgrounds, they also have a lot of things in common. Some of the things they have in common are vision, a big desire to succeed, commitment and perseverance. 11. Sadly most people live and die with their must still un-played. Most people never fulfill their life’s purpose or even pursue their true dreams because they are held back by their comfort zone and the fear of the unknown. 12. When I was successful, it wasn’t because I was more talented than the next salesperson; I was just willing to make more sacrifices. Once you decide what you want to accomplish you must decide what you are willing to give up, in order to get it. All successes will require some level or sacrifice. 13. I’ve found that successful people are never afraid to try, because they are never afraid to fail. You can’t succeed your way to success. You have to fail your way to success. 14. I believed that even if they wouldn’t work that hard for money, there were women who would work very hard for recognition. Recognition is one of the most powerful motivators in the world. Kids cry for it and grown men die for it! 15. I am convinced that competition is most productive when you are competing with yourself. Don’t compete against others. Compete against yourself and what you are capable of achieving. 16. … People will buy more readily when they can take their products home with them. Keep some extra products on hand so your customers don’t have to sit around and wait for them. 17. … If you act enthusiastic you will become enthusiastic. Enthusiasm is contagious. Act excited and you will become excited. 18. The speed of the leader is the speed of the gang. Set the example for your team to follow. A good leader can turn the Bad News Bears into a bunch of champions. 19. It has always been my philosophy that a salesperson should never discuss personal problems with customers. Keep your personal issues to yourself. Your customers and team members already have their own issues and don’t need something else to worry about. 20. It’s important to realize that nobody is highly motivated every day. Understand that there is a huge difference between motivation and commitment. All you really need to succeed is commitment. Motivation comes and goes. 21. A happy face and a happy attitude are always an inspiration to others. Act happy, even if you aren’t. 22. Under ideal circumstances, anyone can project cheerfulness, but the real test of a champion is being able to put on a happy face when deep down you’re suffering with a serious personal problem. Be positive when you are around others and don’t let your personal problems shine through and bring them down. 23. A business consists of millions of small decisions, not just the big ones. The big decisions are easy to make. Ultimately, your success comes down to the bunch of small decisions you have to make every single day. 24. I stress that no matter how successful you are in your career, if you lose your family in the process of attaining that success, then you have failed. 25. Money is not worth sacrificing your family. Your family is the most important thing you have in life. 26. In these economic times, everyone can use some extra income. Most people, regardless of their income or salary, would benefit from an extra $500 to $1000 per month. 27. The first step toward getting people to respect you is to respect yourself. If you don’t respect yourself, don’t expect other people to respect you. 28. You must remember that members of your family are not as interested in your work as you are. Don’t expect everyone else to be excited about what you do. 29. Success is much more wonderful when you have someone to share it with. Having a partner or spouse to share the ups and downs that life brings is one of the best things you could ever hope for. 30. If you aren’t willing to fail, you’ll never succeed. The definition of an entrepreneur is a risk taker. You must be willing to step out and potentially fail, if you want to do something great with your life. 31. If you really want to make a success of this business, then you must put yourself on a schedule. This is one of the most valuable quotes on this page. Most new entrepreneurs really struggle with time management. 32.Time is a salesperson’s most valuable commodity. Be smart about how you spend your time each day. 33. Hiring someone to free you from time consuming household tasks can be one of the best career decisions you’ll ever make. I love this idea. Delegate the time wasters so you can focus on activities that bring in more revenue. 34. Stop spending dollar time on penny jobs. Work on tasks that actually make the cash register ring. Don’t confuse busy work with being productive. 35. Work expands to fill the time available for it. I’ve found this lesson to be spot on. You must set deadlines for yourself and stay on task. 36. Without goals you can waste your entire life, with nothing to show but a feeling of frustration and dissatisfaction. Everyone should have written goals for their life. If you don’t have a goal, you have nothing to aim for. 37. No matter what the final goal, it’s very important to set attainable daily goals – then meet them. Break your big goals into smaller daily goals. 38. The world is very full of people who are very quick to dream and very slow to act. There are tons of dreamers in the world who want to do great things, but there are very few people who are action oriented; who will roll up their sleeves and get to work. 39. Many people are so afraid of failure that they forget to try anything. Fear of failure is quite perhaps the number one cause of failure in life. 40. I believe that the only difference between successful and unsuccessful people is extraordinary determination. Nothing worth accomplishing in life is fast, free or easy. Good things take time, hard work, and persistence. 41. Before trying to begin a new business, you should carefully analyze your own strengths and weaknesses. Everyone has different talents and abilities. Figure out what you are good at and then find a way to use those talents to pick a business model that is best suited for you. 42. If you decide to become an entrepreneur, you must also be willing to work harder than you would ever work in an ordinary job. Being an entrepreneur is very demanding and challenging, but I love it. You will work a lot more than you work in a job. 43. You must discipline yourself to work as if you had a boss standing over you. You must be disciplined with your time. 44. I think it’s vital to always have something at the end of the rainbow. Celebrate your successes, each step along the way to your ultimate goal. 45. The more you give the more you get. This is simply the law of sowing and reaping. You have to give to get. 46. If you give somebody a forty-cent item in a $1 box with $100 worth of recognition, that’s a thousand times more effective than giving a $100 item in the same box with forty cents worth of recognition. I love this quote. Focus on recognition. It does wonders for your team. 47. Let people know that you appreciate them and their performance and they’ll respond by doing even better. Give your team feedback. Do the little things to make them feel appreciated. Celebrate their successes. 48. I don’t think anyone responds positively to criticism. Never criticize, condemn, or complain. 49. And whether you’re standing in a reception line or talking to your child after school, it’s always important to focus all your attention on the person in front of you. Take your eyes off yourself (and your cell phone) and focus on the person you are talking with. 50. We believe that with lots of praise and encouragement, everyone can be successful. The more praise you give others, the more good behaviors you will see. 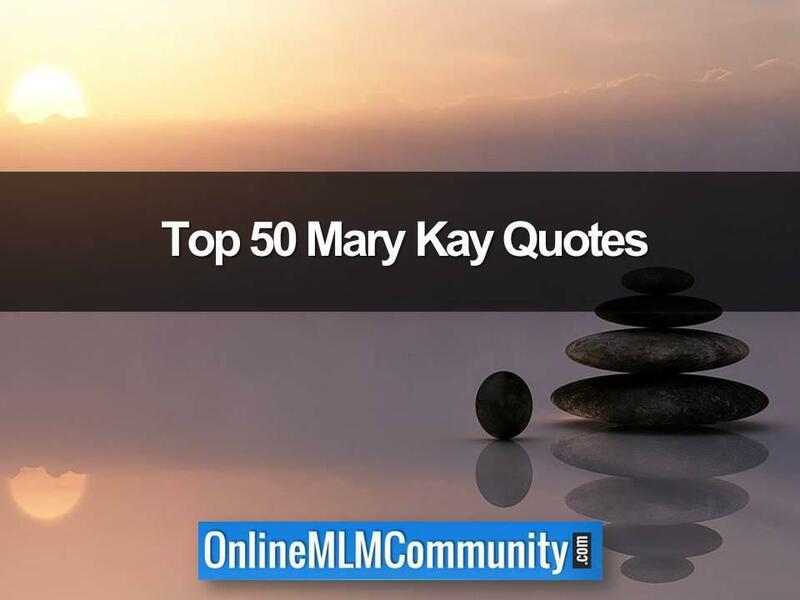 In summary, these are my top 50 Mary Kay Ash quotes from her books “Mary Kay” and “Miracles Happen.” Which quote did you enjoy the most and why? Leave a comment below to let me know what you think. I look forward to hearing from you. Disclaimer: Mary Kay is a registered trademark. I am in no way affiliated with the company, nor have I ever been in the past.